Written by エスキューブさいたま. Posted on 2019年2月7日. Filed under さいたま◎小森健太郎. No comments. Written by エスキューブ横浜. 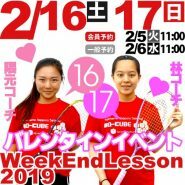 Posted on 2019年2月7日. Filed under SQ-CUBE横浜, 横浜◎村尾裕義, 横浜イベント. No comments. Written by エスキューブ札幌. Posted on 2019年2月7日. Filed under SQ-CUBE情報, SQ-CUBE札幌, 札幌◎八木翔平. No comments. Written by エスキューブさいたま. Posted on 2019年2月7日. Filed under さいたま◎岡野由佳. No comments. Written by エスキューブ横浜. Posted on 2019年2月7日. Filed under SQ-CUBE横浜, 横浜◎林美音, 横浜イベント. No comments.